Nearly three years after news broke that Home Slice Pizza was expanding from its South Congress locale to include a new shop near North Loop, the beloved pizza purveyor has finally delivered an opening date. Beginning May 30, Home Slice Pizza will open its door to the pizza-starved residents of North Loop, Hyde Park, and surrounding neighborhoods. 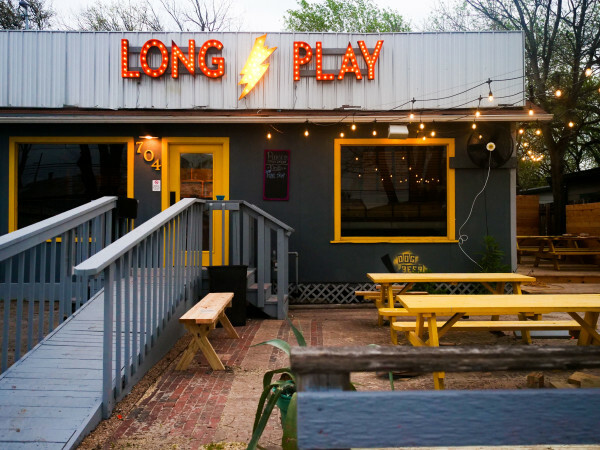 Patrons of the South Congress Home Slice can expect all the same menu offerings — and a whole lot more. The traditional New York-style pizza that made Home Slice an Austin institution will be available by the slice or pie. A Sicilian version will also be on the menu, and the North Loop location will offer it six days a week, as opposed to the South Congress shop, which only serves it on Mondays. 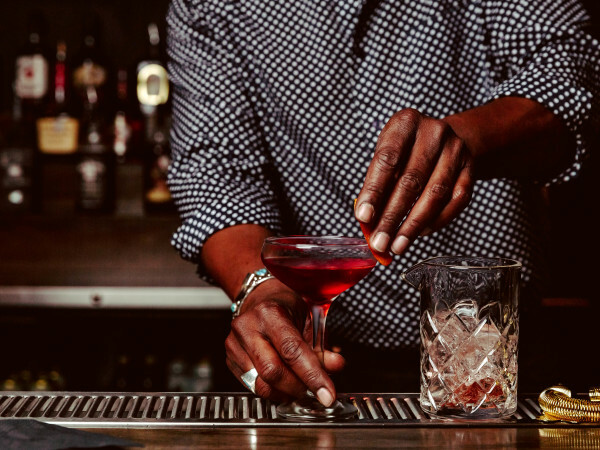 The north location will also offer a full bar with an emphasis on specially chosen vermouths and amaros, and a curated cocktail program that favors traditional cocktails like Old Fashioneds, Negronis, and Aperol spritzes. The draft beer menu will also expand, albeit slightly. In addition to the traditional Peroni, Home Slice is adding a local tap that will rotate. As for wine, the restaurant is continuing its commitment to "pour[ing] only carefully chosen, affordable Italian boutique wines by the glass, bottle, and carafe." 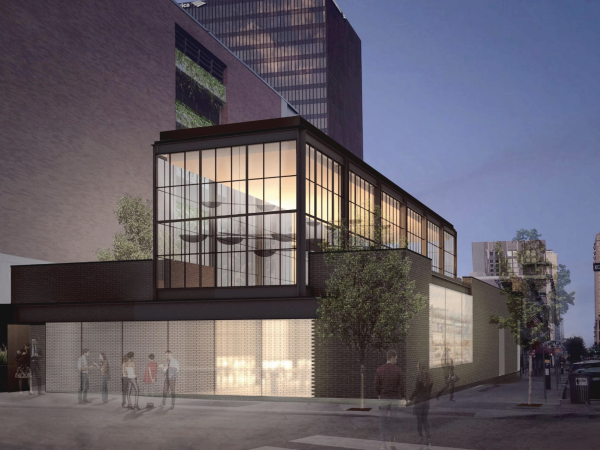 With more than 4,000 square feet of space, diners can enjoy their pizza either in the Michael Hsu-designed interiors or on expansive outdoor patio spaces. In what can only be described as the most vivid explanation for an interior design process ever written, the restaurant says it drew "inspiration from the coziest classic Italian restaurants, the glitziest Long Island banquet halls, and the infamous pre-Giuliani years of New York City that bred the art, music, and street cred culture that the partners find so inspirational." 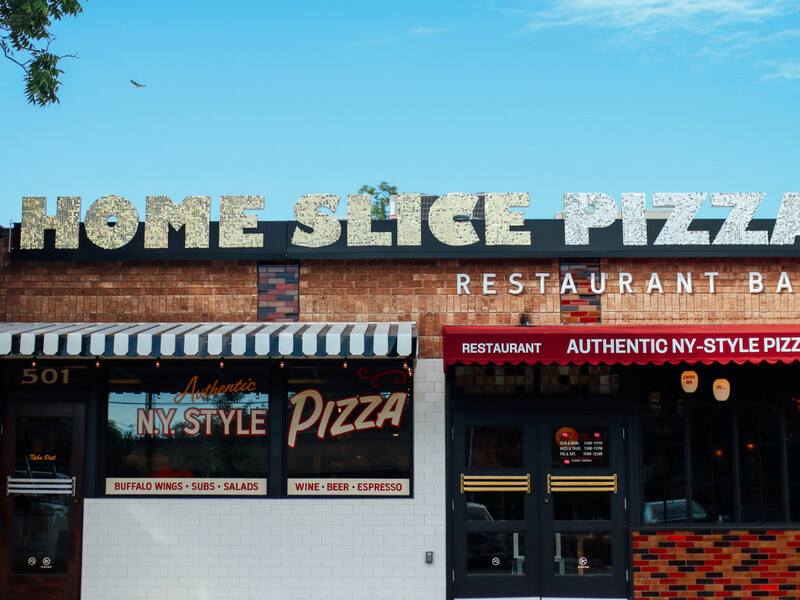 Home Slice brings in these vintage vibes with retro awnings, painted light fixtures, hand-painted windows, and one incredibly glittery sign. Inside, diners will feast in a dining area with red upholstered booths and banquettes, as well as traditional red-checkered tables. The restaurant also features work from local artists like Niz, Cody Waker, Gary Green, Tony Romano, Laurie Mann, and Daniel Burns, as well as artist Rory Skagen, who was tapped to deface a traditional Italian countryside mural a la 1980s New York subway cars. Outside, the party continues where the "patio brings customers metaphorically into the street underneath NYC sidewalk scaffolding and features comfortable banquet seating, a full-service bar with tiling reminiscent of a '70s T-shirt, and, adjacent to the bar, an unusual landscape designed to tickle all ages." For those who prefer the grab-and-go option, the new Home Slice also offers counter service for to-go orders and a dedicated takeout window similar to More Home Slice.